Review: Disney on Ice presents Dare to Dream – Brisbane show. What dreams are made of! With one of our 19-month old twincesses rushed to hospital after suffering a febrile convulsion this weekend, and spending a night in hospital (details here but I will say it was THE most terrifying and traumatic moment of my life), our family had to resort to Plan B to be able to make it to the Brisbane show of Disney On Ice presents Dare To Dream which we had all been looking forward to! Miss 5 had been counting down the days to see her favourite princesses in action (especially a special young lady who she was lucky enough to enjoy a one-on-one ice skating experience with recently) and Mr 3 was beside himself with excitement to lay eyes on Mickey Mouse. While I stayed on the Gold Coast looking after a poorly bub, hubby and my sister (our children’s Aunty/God-mother), Miss 5, Mr 3 and Twincess Natalia (19 months) all headed to Brisbane to enjoy the 5pm show at the Brisbane Entertainment Centre. (It was actually good timing to take their mind off the terrifying moments experienced over the weekend. 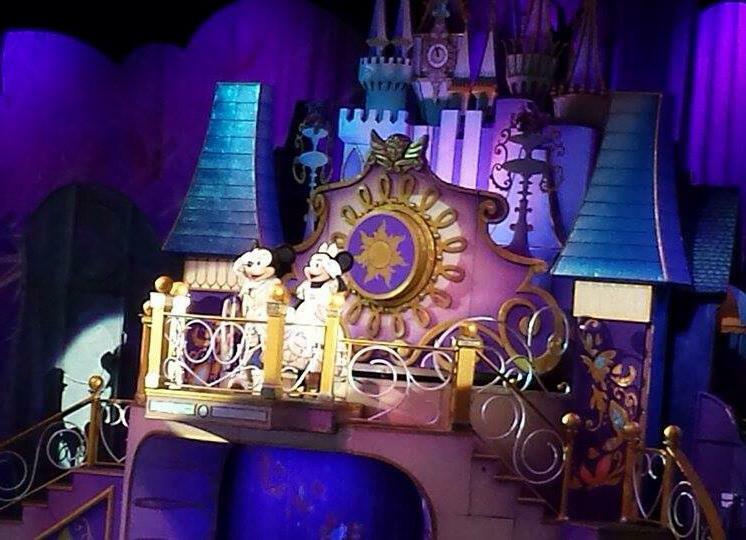 A good chance for the kids to be swept up in the magic of all things Disney). 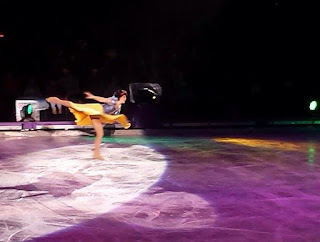 Equipped with a Disney on Ice tiara with flashing lights, and plush Mickey Mouse and Goofy toys, the kids happily took their seats and were eager with anticipation as the show began. Mr 3 was bursting with excitement when Mickey and Minnie Mouse, Goofy and Donald Duck appeared to ‘host’ the show, taking the crowd on a journey through the stories of Rapunzel, Cinderella and Snow White - the magical stories played out in real life. The big castle, the talking Magic Mirror and firework displays had the kids entranced, and they loved hearing their favourite Disney songs. 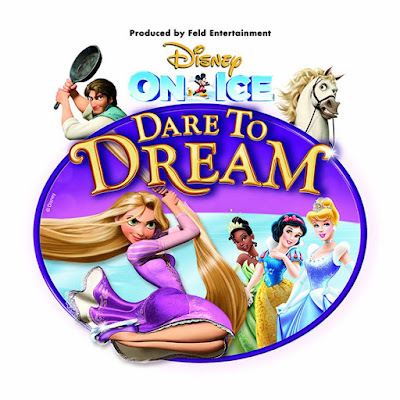 The young – and young at heart – were also captivated when the amazing ice skaters were hoisted into the air – thanks to Rapunzel’s long locks – performing amazing tricks! 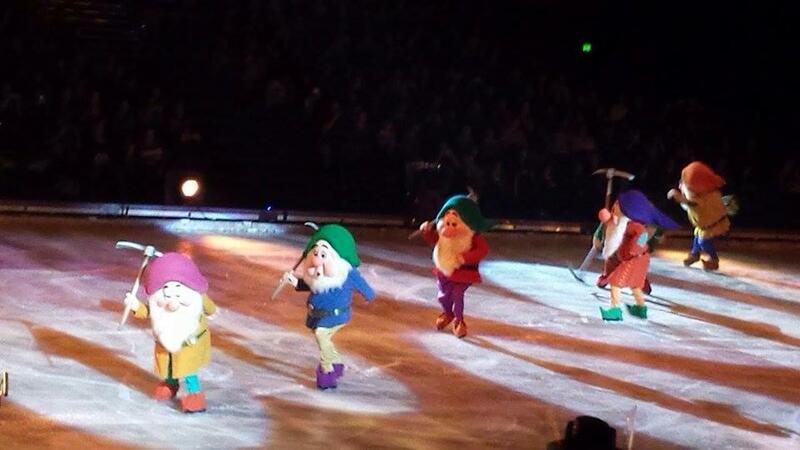 Snow White and the Seven Dwarfs were also a huge hit (and Mr 3 loved singing along with ‘Hi-Ho, it’s off to work we go’! The length of the show was perfect. There was an intermission (perfect to allow for snacks/dinner/toilet breaks). And the show ended – with much fanfare – just as many children were starting to get little fidgety and ready to join the performers on stage. 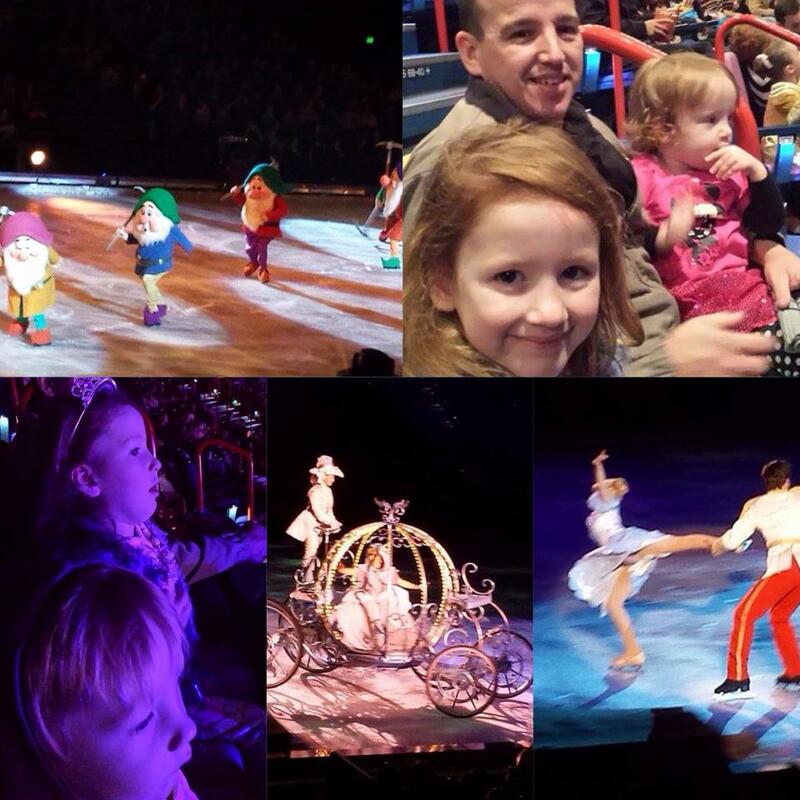 While my life-long dream to see Disney on Ice has not been fulfilled, I’m glad my children – minus one – got to experience the magic. And hubby (who happily forfeited watching his beloved West Tigers play) and my sister (who was running on not much sleep after helping us out with our medical emergencies and juggling work) also LOVED the show! Guess it just means I’ll have to take the kids next time the show is in town, so twincess Victoria, who sadly missed out due to being unwell, and I can enjoy the show too! The show is definitely value for money, I mean, how can you put a price on such a magical Disney experience that will live in the kids’ memory forever?! However, the price point of the merchandise available at the end of the show was a bit of a concern to many of the parents, making it an expensive day out - especially for those with multiple children. The snow cones, at $16 a pop, in special Disney containers, were a bit of a shock, as were the $20 balloons. So, that’s something to keep in mind. 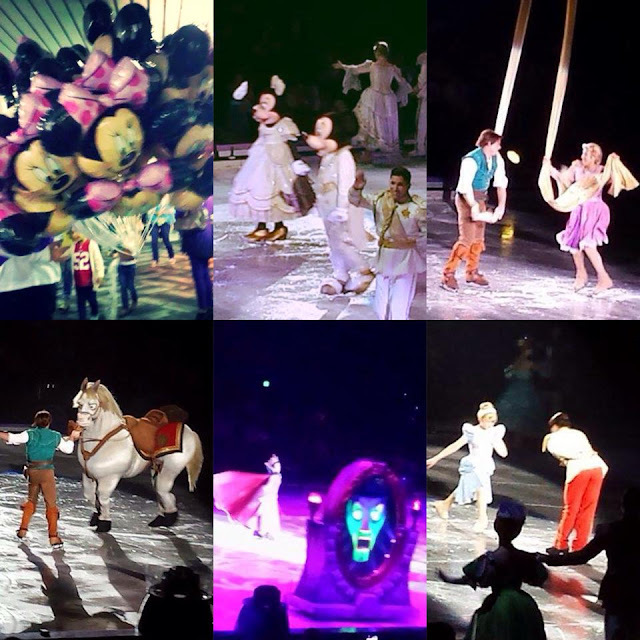 Have you ever been to Disney on Ice? Were you in the crowd for the Brisbane performances of Disney on Ice presents Dare To Dream? What was your/your kids’ highlights? Tickets to other shows in other capital cities are available through Ticketek. Hi Lauren, what a beautiful family and great posts!